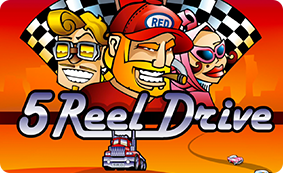 If you're looking to play online sloty then 5 reel drive is a great place to start! Check out some of the other Microgaming games available on Easy. It’s tie to shift it up a notch, are you ready for a high octane thrill ride that is sure to get your motor running? If your answer is yes then say hello to Microgaming’s 5 Reel Drive, a 5x9 slot with a lot of action and excitement that is sure to give you gigantic rewards along the way. Also if you're hungry this game takes place at a diner so you can grab some food too! 5 Reel Drive has all the characteristics of your regular online slot. Wilds and scatters should keep players on the edges of their seats while they play on this breakneck online slot. There will always be a place for this type of slot if people are after a very simplistic design that is heavily based in 2D. All symbols represent a different trinket of the great American highway experience; all very route 66 esque. Symbols include everything from fuzzy mirror dice to the American classic: good ol' blueberry pie, in other words you can live an offshoot American dream in this title. Expect hot retro vibes from this one from a very classic arcade slot. For more Easy promotions, please visit the site. With 5 Reel Drive what you see is what you get, which isn't necessarily the bad thing. Most games choose style over substance with no perfect in-between, in this game there is a choice to focus more on gameplay and the overall experience rather than one thing over the other. Perfect for afternoons of pure relaxation. Just you and the open road with a few cheeky snacks along the way. Snacks that also double up as some of the in-game symbols. 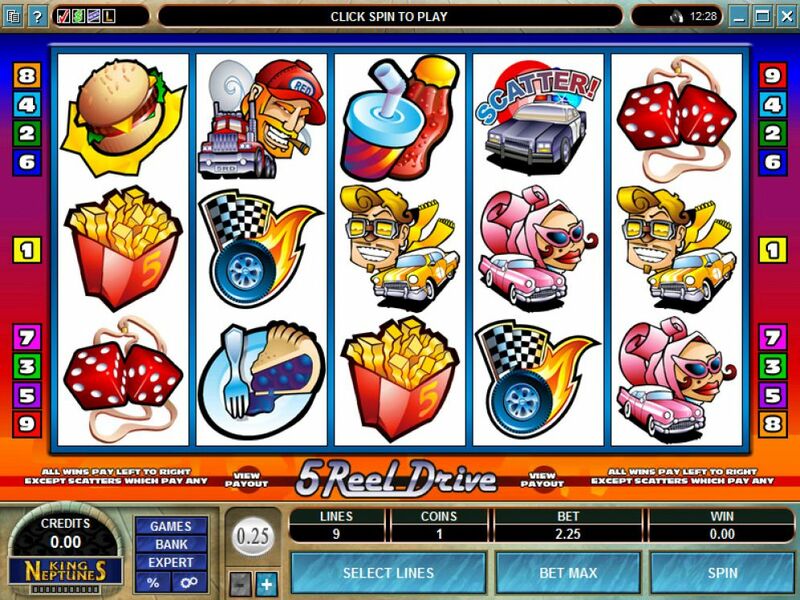 In total there are 12 symbols on this 5-reel slot machine, they can be split into two main groups: things you'll see on the open road and things you'll find when you take a pit stop at the roadside diner. Unfortunately the fast food symbols are the least valuable symbols, we know they look tasty but if you want to score big you’ll want to ignore the cheeseburgers, doughnuts and sodas for your more vehicle heavy symbols. Wilds take the shape of a swerving road sign symbol, normally these are a sign at keeping you out of danger, in 5 Reel Drive they are highly encouraged to be matched in order to receive a nice big pay-out. join today and you’ll start smiling too! Another top notch easy game for you to try is our Aloha Slot.